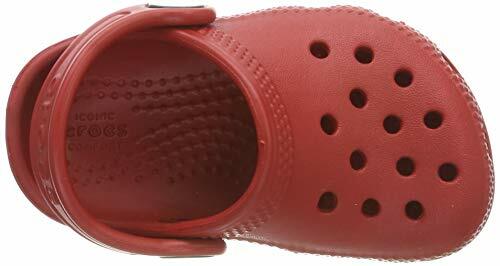 Start your little one out on the right foot with these classic Crocs® shoes. Croslite™ heel strap provides a secure fit every time. Slip-on design for easy on and off. Footbed conforms to the heel while circulation nubs stimulate blood flow. Non-marking outsole delivers traction on a variety of surfaces. Fully-molded Croslite™ material construction for maximum lightweight cushioning. Measurements: Weight: 1 oz Product measurements were taken using size 2-3 Infant, width M. Please note that measurements may vary by size. Weight of footwear is based on a single item, not a pair. 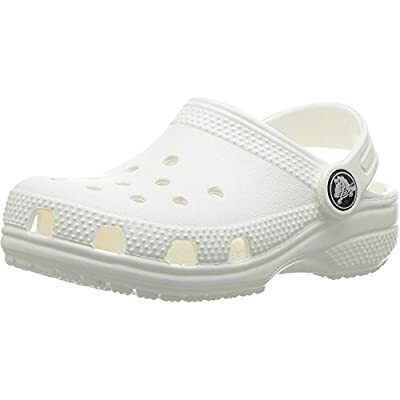 Iconic Crocs comfortƒ,›: original Crosliteƒ,› foam cushion. Non-marking outsoles. Convertible heel strap offers a secure fit. Odor-resistant, easy to clean. Imported.